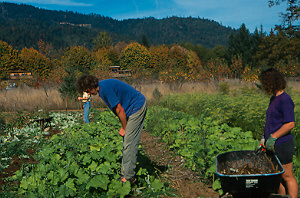 Biennial, overwintering zones 3 to 9, usually grown as a garden annual, 50 days to harvest. 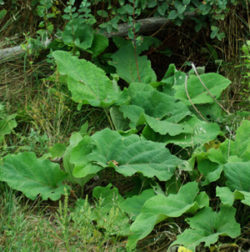 (Gobo Burdock, Niu-bang) Biennial native to temperate Europe and Asia. 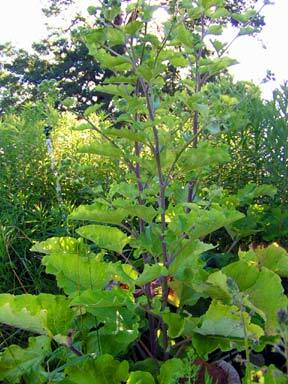 Burdock seeds sown in the spring or summer will produce diggable roots by late summer that can be harvested through the winter. 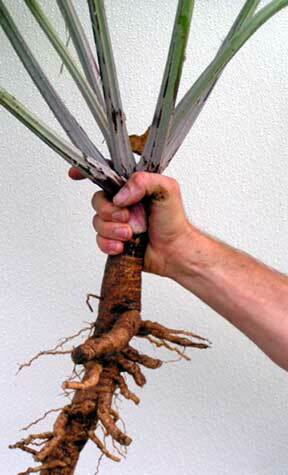 The root has similar sweetness to the carrot, with an earthy flavor. 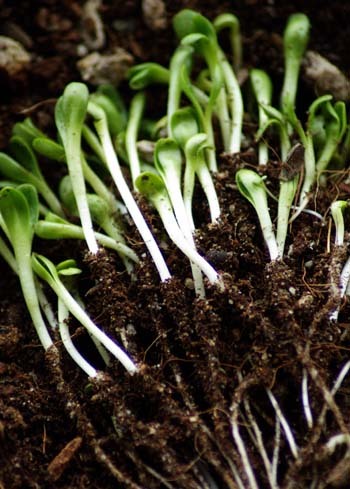 Sow seed in spring directly in regular garden soil and thin to 6 inches apart. Back in 1959-’60, on some vacant land near an apt. complex we lived at, I saw what was the BIGGEST rosette of leaves that I have EVER seen IN MY LIFE!!! Spring of 1960. 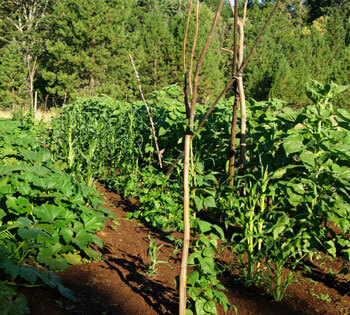 The farmer who lived there decades earlier must have grown this as a crop, & these lived on, afterward, as weeds. But, WHAT WEEDS!!! I have seen smaller burdocks elsewhere, in Madison WI & in northern IL, (Arctium minus), but this one area is the ONLY area where I have seen A. lappa. 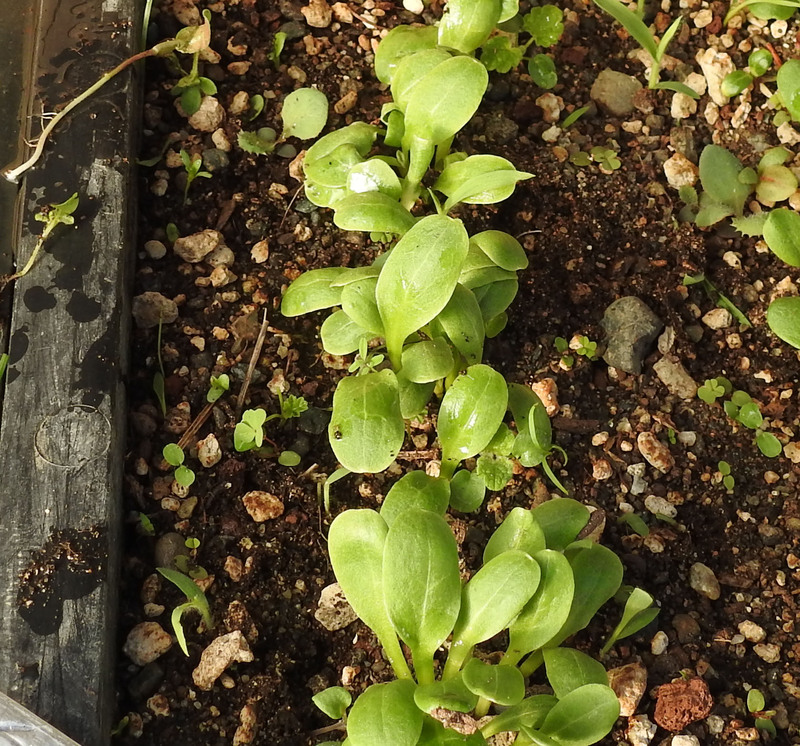 The 2nd year rosette starts out big, then gets bigger–Much Bigger, up to 8 to Maybe 10 ft across. For all the size of the rosette, the late summer bush is surprisingly small, maybe 8 ft or so. 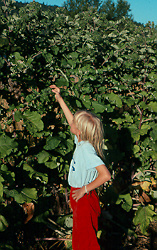 Looking at that rosette, you think maybe a 15 ft tree by the end of the summer, but 8 ft is about it. 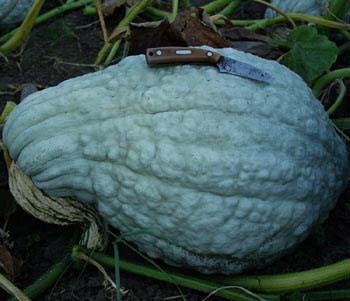 The seeds were fairly easy to grow indoors, & made passable house plants, but nothing like the giant I saw outside. This would make an absolutely SPECTACULAR front yard lawn decoration, early summer of the 2nd year, before the 8 ft bush grows up, & it blooms & forms burs. The flowers aren’t that spectacular, but they add a little to the beauty of the bush. Overall, this made enough of an impression on me, that I thought it worth mentioning 55 years later. If digging is not your thing, take an old bale of wet hay and knock together four 1 x 4s like an empty-bottomed flat to fit right on top of the hay bale. 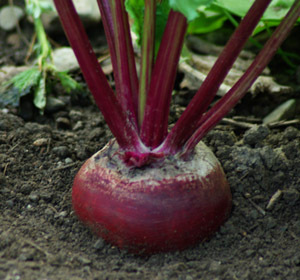 Then fill this with garden soil and plant your burdock seeds in there. 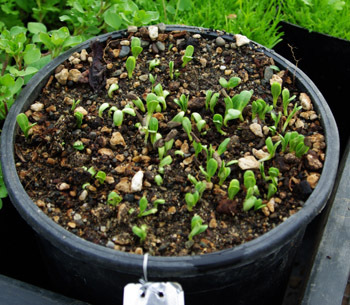 They will germinate and send their roots down into the hay. 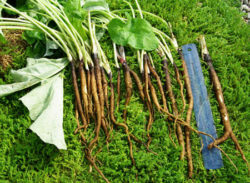 To harvest, remove the boards and pull apart the hay to reveal perfectly formed and tender burdock roots. We use old irrigation pipe that is split in half and reattached. 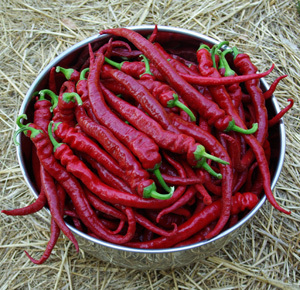 I got seed from an Asian food store in Sacramento 15 years ago and still have volunteers pop up in the garden every year from the occasional plant that I let go to seed. The seed pods are amazing. The plant is attractive.